There are SO many baby shower party favor ideas around the world...floating out there in cyberspace just waiting to be shared! 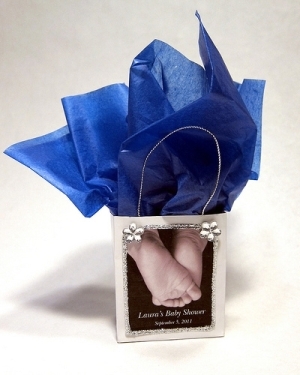 Our goal in this section of Perfect Party Favors is to bring you the best baby shower party favors that we can find - whether you are making or buying. 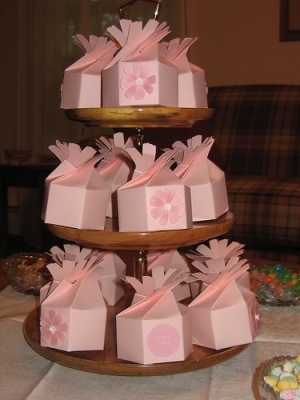 If you are hosting a baby party anytime in the future, bookmark this page as we will share some unique baby shower favors as well as ideas for a cheap baby shower party favor or two, and everything in between! Fill the bag with anything you'd like - a sweet treat, a candle, a bag of coffee, etc. Change the tissue paper color for gender. 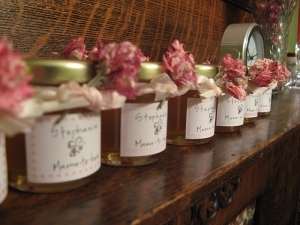 A pot of honey with personalized label and fresh flowers. Use silk flowers if you so desire. 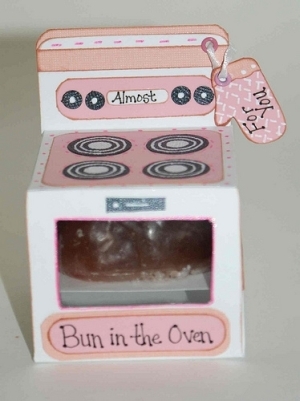 Absolutely adorable idea - bun in the oven! Includes double scented cinnamon bun candle. Find these on Etsy.com! Baby is Brewing Coffee! Having a Girl, or a Baby Boy? Either way, there's a baby brewing and on the way. Visit KimsGiftBaskets to order. Martha Stewart boxes available at Michaels. Fill with treats to fit your shower theme! Visit Cereal4Supper for more info! 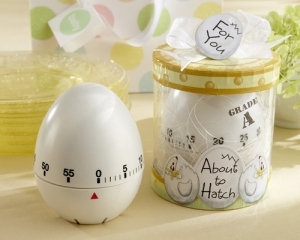 About to Hatch Kitchen Egg Timer! As an old phrase goes, "She's about to Hatch." The timer represents that she is just about due. Another great idea from KimsGiftBaskets. 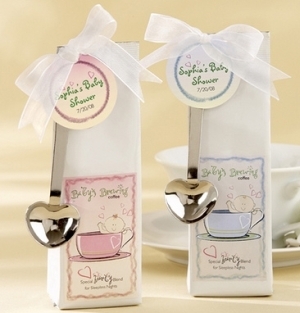 Return from Baby Shower Party Favor Ideas to Home. Would you rather purchase your favors?